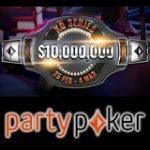 The Bovada Poker BDPO Championship Series 2015 runs from March 12th and April 2nd with 100 scheduled tournaments adding up to over $3 million in prize pools. 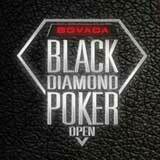 The BDPO Championship Series features mid to high stake poker tournaments and includes a $500K Main Event. 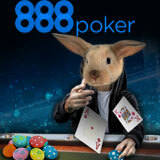 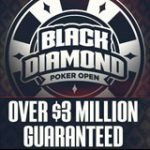 Qualifiers run daily giving players the chance to get entry to the events for less than the direct buy-in amount. 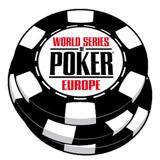 There are also several game types available including: Holdem, Omaha and STUD, with a variation of heads-up, shootout, turbo and knockout tournaments. 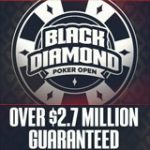 We've included some event highlights below from the Black Diamond Poker Open Championship Series taking place at Bovada Poker between March 12th and April 2nd, 2015. 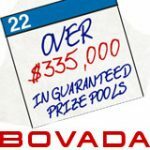 Buy-in directly or start qualifying through the daily satellite tournaments to win your ticket to the Bovada Poker BDPO Championship Series. 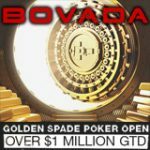 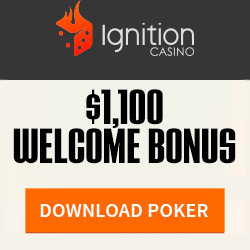 New players signing up qualify for a Bovada Poker Bonus up to $1,000, Bovada will match your deposited amount with a pending poker bonus to the same value. 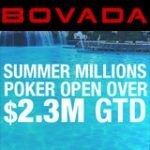 Bovada Poker only accept USA players excepting for players who are from states where online poker is prohibited or regulated states: Nevada, New Jersey and Delaware.